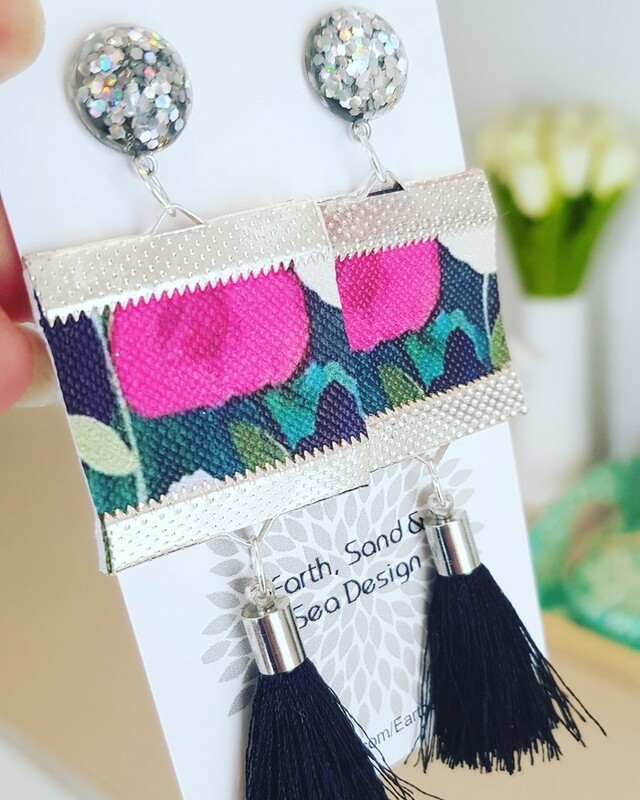 Fabulous and fun are these handmade dangle earrings. Stand out from the crowd with these stylish designs. 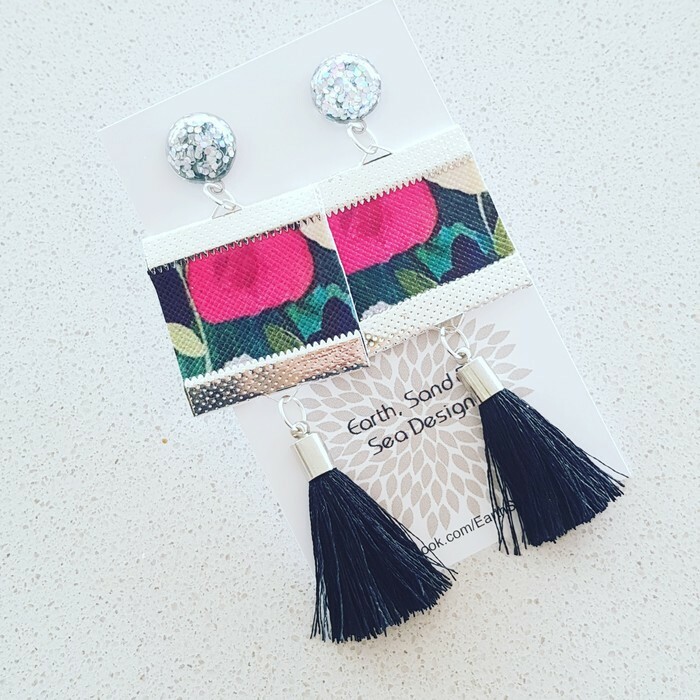 They are made with Faux Leather and small tassel, all attached to a shiny stud.